We have at our doorstep, a once in a century opportunity for education in America. Almost every state in America is introducing higher, more rigorous standards for all students. New assessments that strive to assess students' critical thinking and problem solving abilities alongside their basic comprehension are being developed. These new standards and assessments are helping forge a new vision for teaching and learning so all students graduate college and career ready -- no matter their zip code. How can we make sure this vision becomes reality? Simply put, we need to support and empower educators to become continuous learners who are curious, persistent and reflective -- the core capabilities and dispositions these new standards require. No Child Left Behind did some great things -- namely, shining a spotlight with data on the inequities in our educational system that harm our most marginalized groups of students. However, when these data were laid at our feet and accompanied by high-stakes assessments, our collective reaction did little to create opportunities for all students to be college and career ready. The higher the stakes, the worse our response. Our actions disproportionately impacted the highest needs students in unintended ways that did not improve their educational outcomes. In the name of closing the achievement gap, we doubled down on foundational reading and math instruction. We scripted our curriculum. We removed or severely reduced all subjects -- like science, art and music -- that serve as excellent vehicles for teaching core skills like literacy and numeracy. We bubble-tested our students in the name of "test-prep." The poorer the school district, the greater the negative impact. We taught to a test and not to a student. Affluent schools and districts were able to keep up their programs, supplementing at school with fundraising or after school activities, and rest on their successes on a narrow, standardized test. Fifteen years later the data tell us the same story. Children in America are not achieving at the same level as their international peers. African-American and Latino children are not achieving at the same level as their White and Asian peers. Children with learning differences are not progressing far enough or fast enough. Teachers who have become accustomed to scripted lessons, standardized worksheets and bubble-laden assessments must now decide, on their own and through collaborating with other educators, how to best help students reach the standards. This change will be hard. But there is good news. This is the change teachers want. This is the change that empowers our teachers to apply their largely untapped talents. This is the change that elevates the role of the teacher from script-reader to facilitator of learning. Most importantly, this is the change our students deserve. This change will be hard and the scale is massive -- there are 3.4M teachers in K-12 public schools in America. Add to this number, the millions of principals, parents, teacher educators, and students who have become accustomed to the reductionist approach to teaching and learning that has been dominant for nearly two decades. The good news is teachers have a passion for improving student outcomes and are willing to do whatever it takes to grow as professionals. A report released this week at the Education Writers Association National Seminar by The VIVA Project ​and Education Post confirms what we've heard from teachers: they are excited about the possibilities and hopeful they will receive the training and support they need to make sure their students are successful. This will require a combination of autonomy and intentionality. A classroom example should help illustrate this point. Let's think about Maria, a 4th grade teacher with a classroom of 26 bright-eyed students. Several struggle with decoding and others with reading Harry Potter. 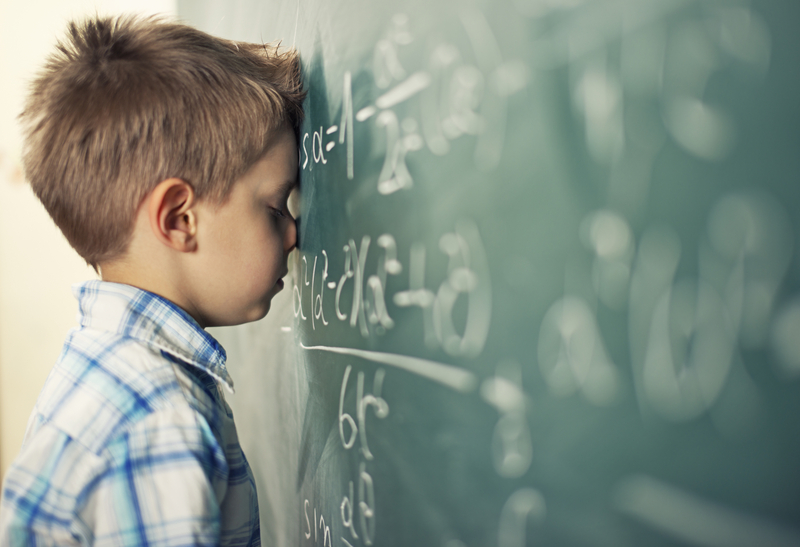 Some have deep-seated math phobias and others are getting ready for algebra. Some have multiple supports at home and others don't. All learn differently, and all need to reach these newer, higher standards. First and foremost, Maria creates a positive and nurturing learning environment where all students feel safe to learn and contribute to the classroom community. She knows every student well and uses that knowledge to meet students where they are and get them to where they need to be. With a deep toolbox of strategies and resources across all disciplines, she teaches in a way that makes sure all students are succeeding. And most importantly, she develops the core capabilities and dispositions that help her know which strategy or resource to use with which students, and when. A trusted source carefully selects those strategies and resources, and Maria has the autonomy to determine their use. How, exactly, can we couple autonomy with intentionality -- at scale -- in a way that helps students and teachers succeed with new state standards? This is an important question, and one that is driving my colleagues and me to explore new solutions and ways of working. The challenge ahead is to build a profession of teachers who are trusted; who are constantly learning; who know they can take risks to reach every student; who persevere in solving complex issues; who are open to feedback that helps them grow professionally; and, ultimately, who believe all students can learn and meet higher standards. College and career readiness for ALL students is not an option. But for this vision to become reality, we need to learn from our past and then move forward in a different way. Let's do what it takes to make sure teachers can teach to the student, not the test.